A multiplex is a movie theater complex with multiple screens, typically three or more. They are usually housed in a specially designed building. The largest of these complexes can sit thousands of people and are sometimes referred to as a megaplex. 12 to 20 screens may constitute a multiplex, whereas theaters above 20 screens may be branded a megaplex. In India, the mushrooming of multiplexes since the mid-90s has changed the dynamics of the Indian Film Industry. India’s first multiplex was PVR ANUPAM with 4 screens in it and was opened in 1997 at Delhi. There have been concerns over high ticket prices, and the phenomena has predominantly been restricted to the larger cities. The largest multiplex in India is the 14-screen multiplex by Mayajaal in Chennai. Here is a list of the most popular multiplex chains of India. 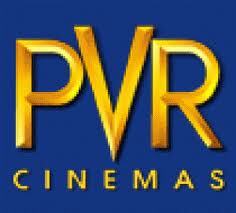 Priya Village Roadshow (PVR) Cinemas is one of the largest cinema chains in India. The company, which began as a joint venture agreement between Priya Exhibitors Private Limited and Village Roadshow Limited, began its commercial operations in June 1997 with the launch of PVR Anupam in Saket, India’s first multiplex. By introducing the multiplex concept in India, PVR Cinemas brought in a whole new paradigm shift to the cinema viewing experience: high class seating, state-of-the-art screens and audio-visual systems. As of April 2010, PVR has a total of 142 screens in 33 multiplexes across India. BIG Cinemas, a division of Reliance MediaWorks Ltd (formerly known as “Adlabs Films Limited”) and a member of Reliance ADA Group is India’s largest cinema chain with over 515 screens spread across India, US, Malaysia and Netherlands and caters to over 40 million consumers. Headquartered in Mumbai, BIG Cinemas was founded in 2001. BIG Cinemas has established leadership in film exhibition in India with more than 260 screens. BIG Cinemas has also successfully created a pan US footprint and the circuit accounts for about 30-35% of Hindi features box office collections and over 70% of Tamil and Telugu box office collections from the US. INOX Leisure Limited is the diversification venture of the INOX group into entertainment and is a subsidiary of Gujarat Fluorochemicals Ltd headquartered in Mumbai. INOX currently operates 40 multiplexes and 151 screens in 26 cities across India. INOX is also in an alliance with the Pantaloon Group – a partnership that provides INOX preferential access to all real estate developments, which Pantaloon takes up for its retail chain. 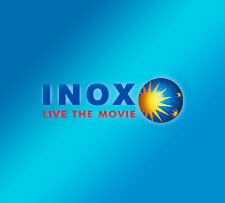 INOX was also chosen post a nationwide tender to design, construct and operate the multiplex in Goa. This 4 screen multiplex of INOX has been hosting the International Film Festival of India IFFI since 2004. It is South India’s first IMAX theater, built by L. V. Prasad group. It has the largest IMAX 3D screen in the world and is located in the city of Hyderabad. Apart from the IMAX screen the multiplex has 5 screens for regular cinema, a shopping mall, entertainment zone, food courts, restaurants and several other entertainment including a 4D FX theater, Mirror Maze, Scary House and a large Gaming Zone. Prasads IMAX achieved the Number 1 status in the world for attendance for the movies Harry Potter and the Prisoner of Azkaban, Spider-man 2 and Spider-man 3. 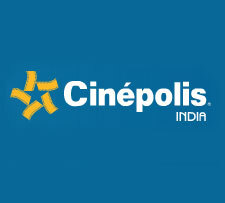 Cinepolis is a Mexican multiplex chain with presence in Amritsar, Bangalore and Thane. Cinepolis has plans to setup multiplexes in Patna, Mangalore and Jaipur in the near future. Cinepolis has made a blueprint to operate 500 screens in India with an investment of Rs 1,500 crore and the result is the signing of deals with 12 developers in eight cities for setting up 110 screens in the first phase, There are also plans to enter into deals with realty developers for creating 200 more screens across India by 2010. DT Cinemas is the wholly owned subsidiary of the DLF Group. The Multiplex chain started its operations through its first Multiplex at DLF City Centre in Gurgaon with a belief to create a comprehensive retail experience for the Indian Consumers through the best retail entertainment. With current operational cinemas at DT Star Cinema Saket, DT Star Cinema Vasant Kunj, DT Cinema Shalimar Bagh, DT Cinema City Centre and DT Cinema Mega Mall, DT Cinema Star Mall, Gurgaon, and DT Cinema, Chandigarh, have 28 screens with an overall seating capacity of more than 5900 seats. E-square, Pune is strategic and operational Family Entertainment Centre of E-square Leisure Pvt Ltd . The operations commenced in June 2003 by clicking the competition. In just a small span of 4 years it has become India’s No. 1 Cinema Exhibition by keeping its occupancy levels and revenues much ahead of the industry averages and established itself as a fun destination where not only individuals but also whole family can chill and enjoy. 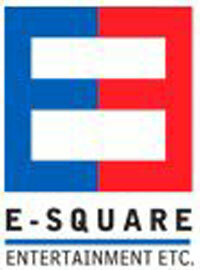 Current E-square locations are Pune, Aurangabad and Mumbai. Frequent celebrity footfalls are the major attraction of the Cineplex. 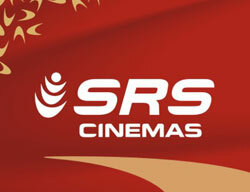 SRS Cinemas is a film theater company in India. SRS Limited is a diversified Company with a business portfolio comprising of Cinema Exhibition, Food & Beverages, Retail and Manufacturing & Retailing of Jewellery. The Company was incorporated on August 29, 2000 with the objective of trading in FMCG Goods and it later entered into other business segments. The SRS Cinemas is the film exhibition brand under which the Company operates a chain of multiplexes spread across 6 cities. This includes 11 properties at strategic locations with a combined strength of 30 screens and 7,608 seats. It is a brand that is fast spreading its footprint across the major cities of North India. City Gold – One of the most common name when we talk Entertainment @ Ahmedabad. Over the years City Gold has achieved the mark of achieving the best standards in the field of Entertainment with its spread expanded entirely in the geography of the Megacity. The group ventured into the Entertainment business during the initiation of the transition of Entertainment Industry upcoming as Multiplex. 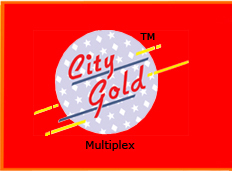 One of the initial Multiplex of Ahmedabad & among the country also, today city gold is having 4 operational multiplexes and planning further more sites upcoming in near future. Other popular Multiplex Chains of India are Movie Time Cinemas, Q Cinemas, Fame Cinemas, Fun Cinemas, Pyramid Saimira Theatres Ltd., Sathyam Cinemas, Wave Cinemas, M2K Cinemas, Sri Ganga Cinemas, AGS Cinemas.